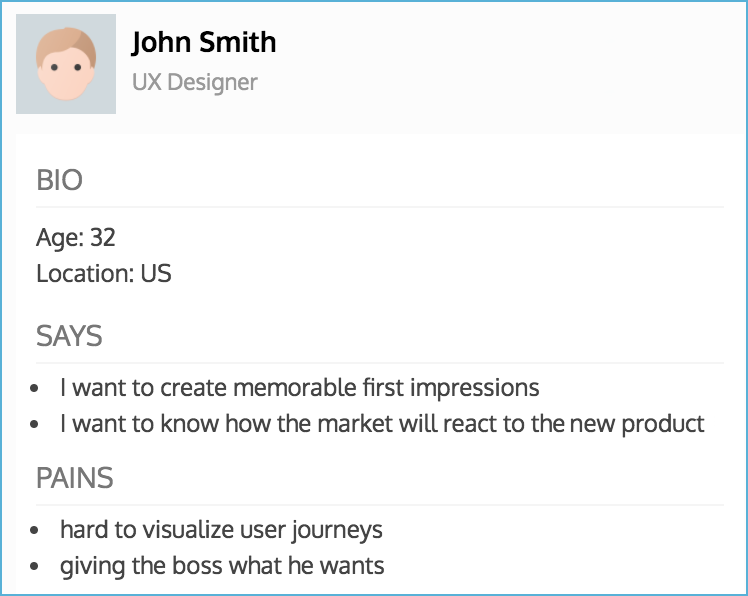 Map your user activities and journeys, use a bird's eye view to improve product experience. Invite teammates and collaborate in real-time. Create developer tasks from user steps and ideas. Create personas upon your needs. Feel free to add categories, comments and even pictures. Space is unlimited, gather all details or keep persona info smart and simple. 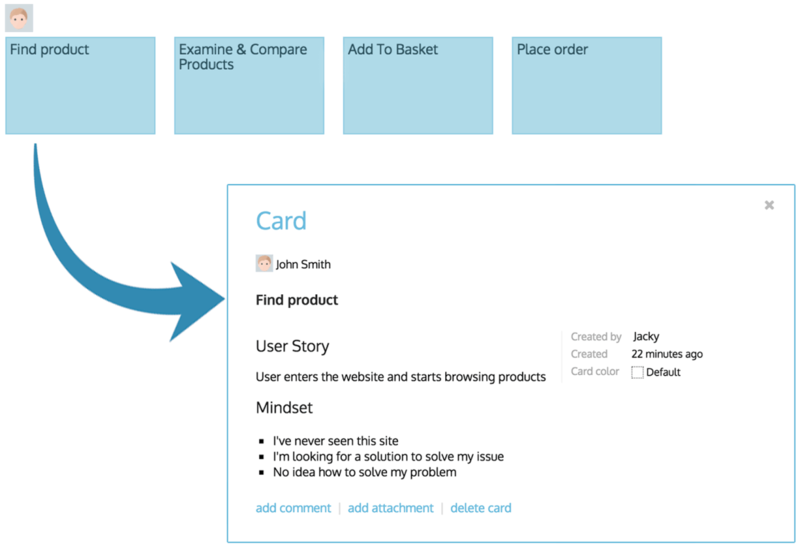 Compile crucial milestones in the user journey. Remember your audience mindset changes at every milestone. Add valuable thoughts to cards. Discover every single step that users make using the product. Follow the narrative flow and you'll never miss a jigsaw piece. Insert cards or rearrange them by drag&drop. Keep valuable information on the same screen. Add touchpoints, feature ideas into different blocks. Specify cards with additional details, pictures, and even colors. No matter how many cards you have on the board, collapse needles groups to get more space. Release management lets you arrange ideas into tangible pieces. 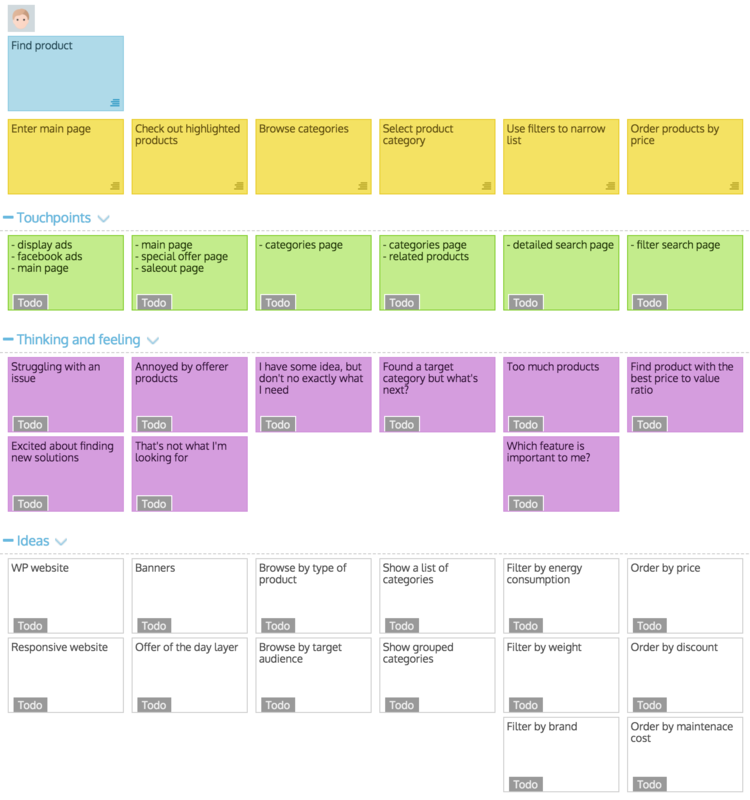 Set up the whole release plan by drag & drop.